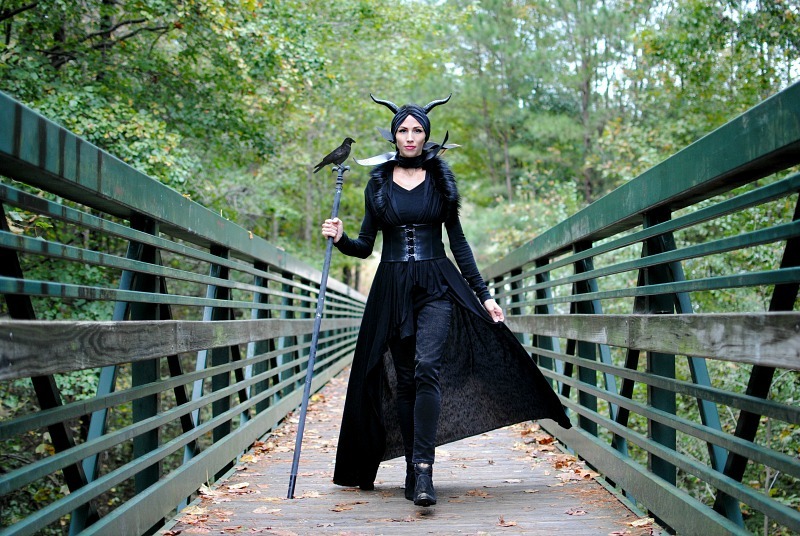 This year I let my boys pick out my costume and they chose Maleficent. I've always wanted to dress up as an Angelina Jolie character and this one was perfect as I loved the movie. The costume was simple enough to put together in a couple hours. I used my DIY No Sew Cloak Gown, this DIY corset belt, and basic garments underneath. For the Choker and collar its as just a strip of fabric tied in the back. I made the collar with a headband and felt petal shapes I sewed pleats in and then used my hot glue gun to wrap them around the headband. For the head piece I made a knotted turban headband. I didn't want a full hat because my hair is too long so I wanted to keep it as a high pony in the back. The horns were just 1$ from the store. It was put together in just a couple hours before the party. I added a crow to a flag poll with wires for the final touch. I also couldn't help but make my son's costume. He chose "The Grinch," which is his all time favorite book and movie. I didn't have time to find green fur so I just used feather boas from the Dollar Tree. I sewed the pants (I'm sure you can find green pj pants) and toy bag from felt. For the top I used a red pajama shirt and added the white trim and buttons. For the feathers I just hot glued them along the edges of the shirt and pants. I also made red booties because it ties everything together. I wanted to go all out with his makeup but what 2 year old is going to sit that long. This one paid off because he won our community Halloween Costume Contest! Seeing his face light up when he won and get his award was the most precious! Your costume looks great! 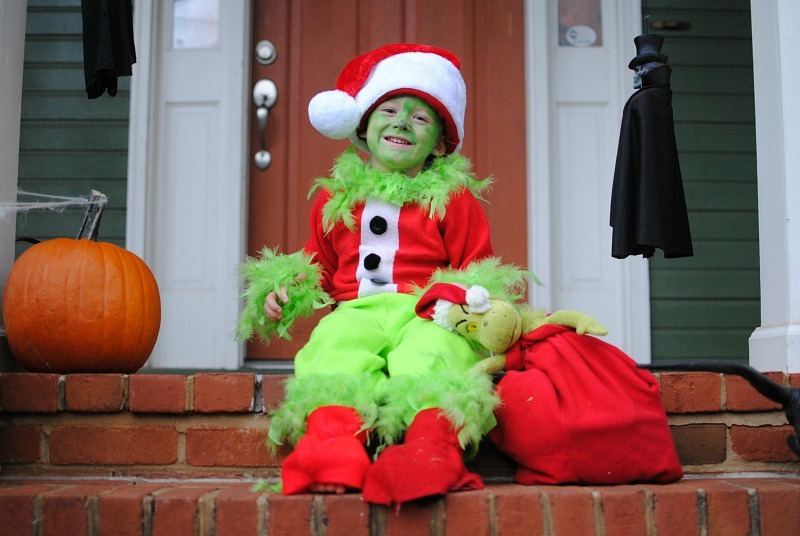 Your son looks great as grinch, also.